There are 10 reviews of Tiare. Crisp, refreshing, close to Crystalle in terms of buttoned up sophistication but without its ramrod straight back and archness. I get little by way of tiare but rather a lemony clean and green white floral with a dry mossy edge. This is the stuff of great hygiene and order but done without the scouring tendency commonly resorted to. I can appreciate its place in Ormonde Jayne’s sleek pantheon but it’s the kind of perfume that draws little emotional response from me and which I can take or leave. However, in the interests of fairness, Tiare bucks up considerably when applied generously – then the foliage comes into its own and beckons one outside. For a while, my interest in Ormonde Jayne stopped with OJ Woman, a perfume I'd struggled with for years before finally falling in love with it. A client gave me the Ormonde Jayne sample set, and upon trying and not particularly clicking with the most popular ones,Tolu and Ta’if, I didn’t bother trying the rest. That was, until one day last summer, I fished around in my sample box looking for something crisp and green to go well with a planned walk in a nearby castle grounds with my children, and stumbled upon Tiare. Its lack of anything truly tiare-like or tropical puzzled me at first. But I will always remember marveling at the champagne-like quality of the lime and green notes fizzing gently around the oily but fresh white flower petals. The damp, mossy drydown proved to be a perfect reflection of the elegance of the castle lake and grounds. There is something pinned-up and Victorian in its mien - not entirely me, but rather someone I aspire to be. It was the first sample from the Ormonde Jayne sample set that I drained completely. Then, this summer, sweating our way through the forests and fields of the Sologne and Loiret, I decided that, really, nothing was more French or more crisply elegant than Tiare, and I knew eventually that I might have to buy a bottle. Reading Ebenas' wonderful impressions of it didn't help with the itch. I succumbed to a flash sale and here I am, proud possessor of a totally unnecessary 120mls of the stuff. Like Cristalle, it might not suit the damp, cool conditions back home in Ireland, but I wear it anyway. It perhaps is a better fit for the Dream-Me, the one who lives in France, getting fat and happy on the simple pleasures of good bread, cheese, and wine. This is one of my favourites and always makes me feel confident and carefree (but adult at the same time). I fell for it from a review - I'd been googling Cristalle smell alikes as it was getting more difficult to find the EdT, and this came up. I emailed asking for a sample and was hooked! I've gone through a bottle and a half since..
Oddly enough, I've never felt that Tiaré was so close to Cristalle that it wasn't necessary and happily wear both, but Tiaré definitely has the edge on longevity. White flowers and aldehydes drenched in dark, mossy greens. This reminds me of ADP's Iris Nobile, but with the uplifting, beautiful orange blossom and neroli snuffed out with dank patchouli and dark green moss. Conversely, this also calls to minds Tom Ford's Moss Breches, but somehow depressing instead of lively. If Iris Nobile is a jubilant bride, then Tiare is one of those bitter aging starlets in an old movie, locked in a decaying mansion, which makes Tiare rather brilliant as an art piece, but I'm just not really enjoying wearing it very much. Quality, but off-putting with its aggressive dank. On skin this smells as if you've been soaking yourself in a tub full of crushed flowers - petals, stems, leaves and all. Fresh, floral, very green. Very elegant in style, even sophisticated. 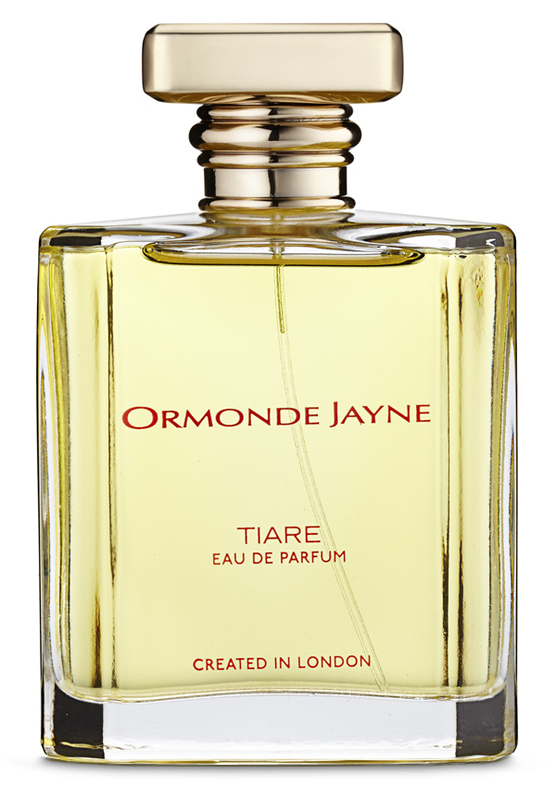 I concur with earlier reviews that TIARE is not a true chypre without the leathery labdanum and prominent oakmoss to support it but with its mossy-musky base it certainly feels classically-inspired. As a man I'd have absolutely no problems wearing this quality green floral. But try not to ask me what I've got on. A green chypre in the classical style. Green, deep, rich, but very natural smelling and luminous. Citruses, light flowers over a nouveau chypre base. Compared to, say, Cristalle, it is less haughty and more floral. It feels richer and more complex, but at the same time fresher and more relaxed. Great longevity, and perfect for men too. As perfume critic Luca Turin argued, this is one of the few deep, rich, classical perfumes composed in recent years, what the big brands ought to be doing if they were not too busy with disinfectants for men or syrups for women. A word of caution: I have never smelled the tiare flower, so I cannot comment on the faithfulness of the scent to the flower. But if the flower is similar to gardenias (as, for instance, in Manoumalia), this is not it. There's nothing stereotypically tropical here, we're firmly in the XVI arrondissement, or, perhaps, among XVI arrondissement Parisians who have loosened up a bit after a London stay. There are no member images of Tiare yet. Why not be the first?